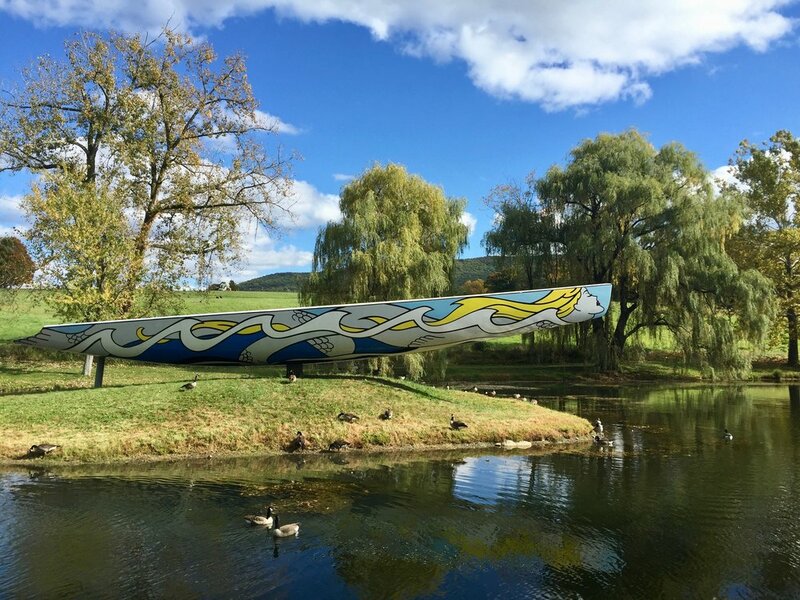 Storm King, a crowd favorite, is a MUST for NYC families. A world renowned outdoor sculpture park, visitors have access to impressive and MASSIVE sculptures and landscape art. If you haven't been, go immediately, and if you have been, go back! You can enjoy art AND let your kid run around like a maniac at the same time! Where else can you do this?! (I tried taking Sally to nearby DIA Beacon once and it was a recipe for disaster complete with an art piece that was literally shards of glass on the floor. NOT toddler friendly.) 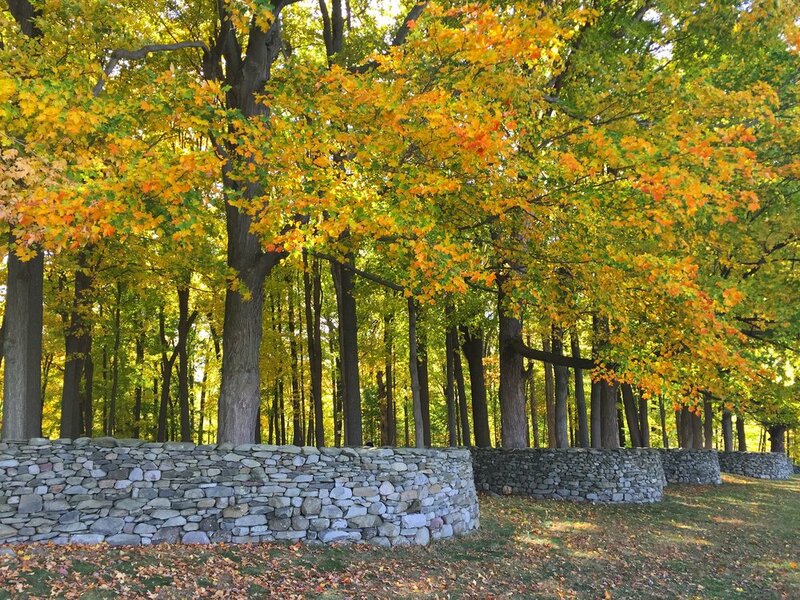 Storm King is 500 beautiful acres in the Hudson Valley where you can casually spend the whole day wandering. This is serious art, guys. This is not like the life-size Yeti statue that I've had my eye on for years from Skymall Magazine. This is Roy Lichtenstein, Isamu Noguchi, Alexander Calder, Henry Moore, Maya Lin, Andy Goldsworthy, Sol LeWitt, etc. It's a unique experience in that a regular museum couldn't house most of these sculptures due to their size, and some of the landscape art such as Maya Lin's Wave Field or Andy Goldsworthy's Storm King Wall were built specifically for this outdoor space. A one of a kind art experience! There is so much to see there that I'd recommend seeing what you can and leaving the rest for a visit during another season. Don't stress about trying to get it all in unless you are in one of those FitBit group competitions where you need to get as many steps in as possible. It's perfect for that! There is also a free tram that you can take if you're prefer to cover the whole grounds in one day. It's a perfect way to see it if you are visiting with someone who has restricted mobility or if you are lazy by nature (needless to say, I've ridden the tram). Otherwise, I'd say take a stroll! And if you get tired, stop and have a picnic! 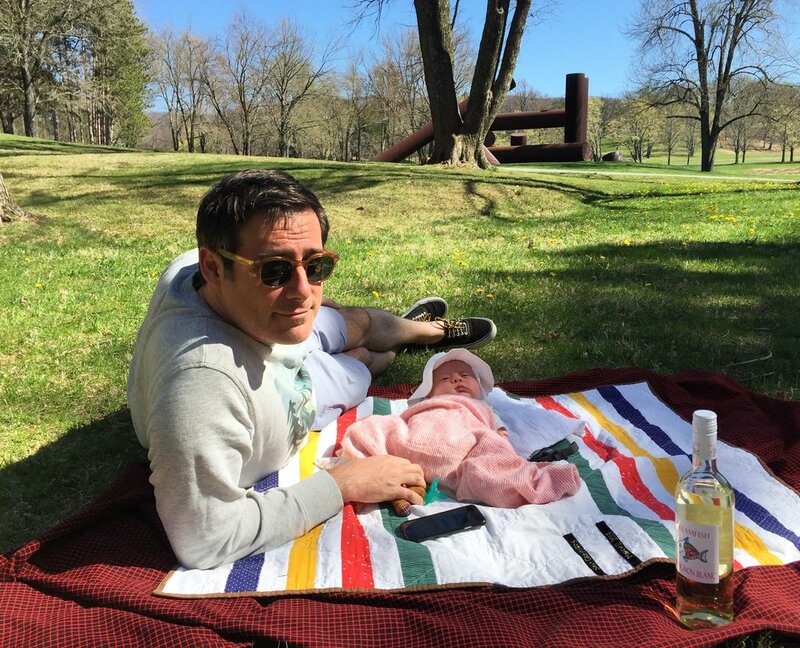 There are two different picnic zones where you can put down a blanket, open up a bottle of wine (unclear if alcohol is actually allowed or not), and pop a few grapes in your mouth. A car is the easiest way to get there, but don't let that deter you. You can also take the MetroNorth to Beacon and get a taxi or grab a zip car from there. Although, my vote is rent a car for the day and ROAD TRIP! I'd say the fall is the best time to go during peak leaf peeping, but note that it can get extremely crowded on those weekend days. If you can possibly go on a weekday during that time, it's much easier. If not, give it a go on the weekend! There is plenty of space on the grounds that even if many people are there, it doesn't feel too crowded. It's just the getting through the entrance and parking that could be a pain, but again, once you're there, PURE BLISS. Whether or not you are an art nerd or if you are old or young, this is an ideal daytrip!